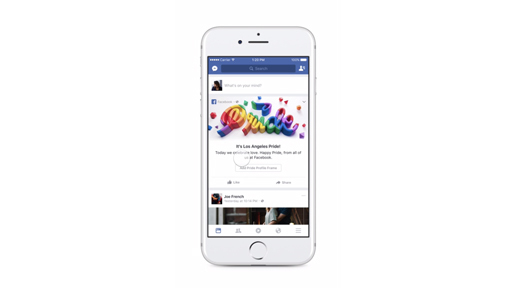 Want to Show Your Support for Pride on Facebook? Here's How! 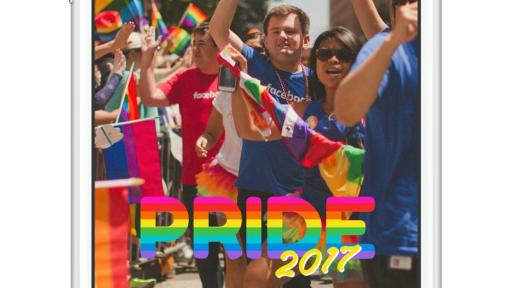 Pride celebrations have begun around the world, and Facebook is proud to support a diverse community, including those that have identified themselves on Facebook as gay, lesbian, bi-sexual, transgender or gender non-conforming. 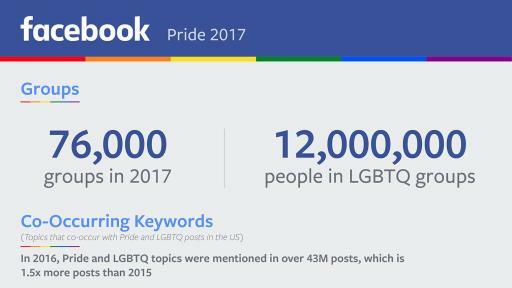 In fact, this year, over 12 million people across the globe are part of one of the 76,000 Facebook Groups in support of the LGBTQ community, and more than 1.5 million people plan to participate in one of the more than 7,500 Pride events on Facebook. 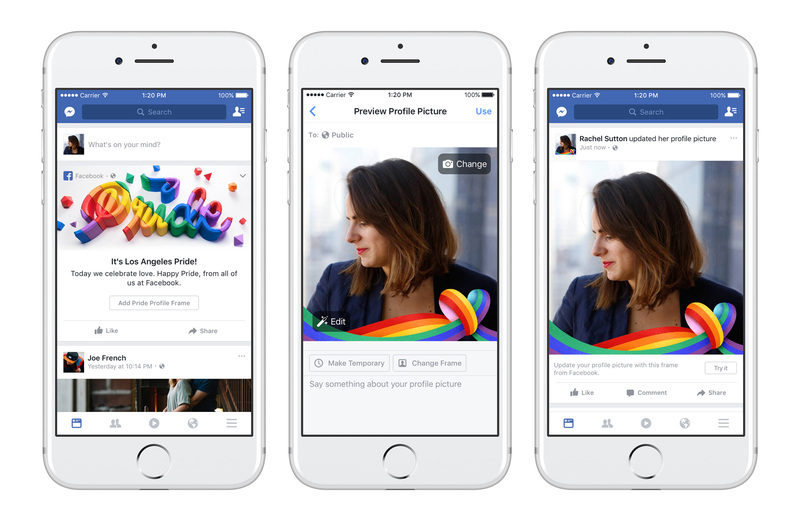 Throughout the month of June, you might see a message from Facebook in your News Feed wishing you a Happy Pride and inviting you to add a colorful, Pride-themed profile frame. Additionally, you might also see a special animation on top of your News Feed if you happen to react to our message. 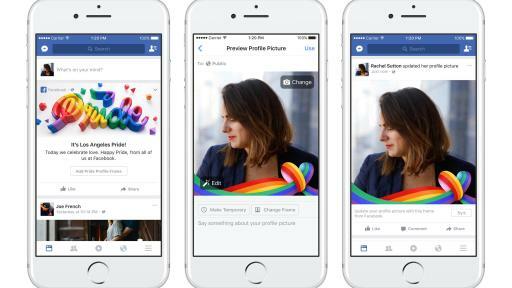 You may see a colorful, limited-addition to reactions during Pride Month. 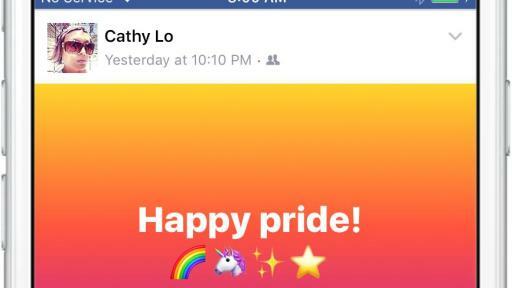 When you choose this temporary rainbow reaction, you'll be sharing your “Pride” with your friend or family's post. 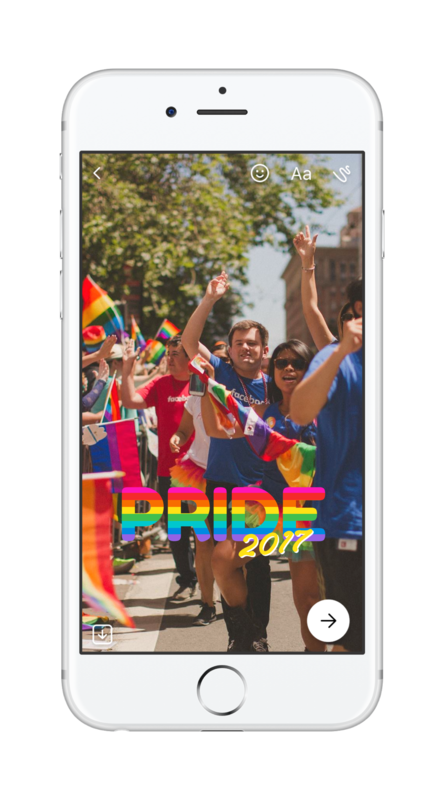 In Facebook Camera, you can find some new colorful, Pride-themed masks and frames. If you swipe to the left of News Feed, click on the magic wand to bring up camera effects and you'll be able to find the effects in the mask and frame category. 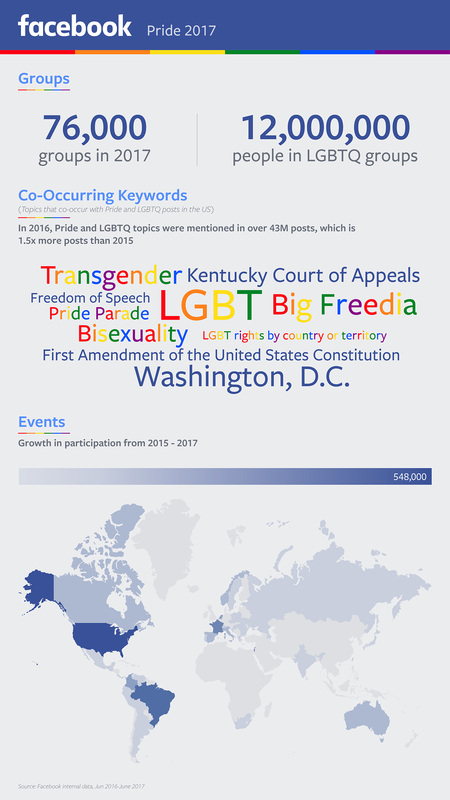 In the US, start a Facebook Fundraiser or donate to your favorite LGBTQ cause. On Facebook, you can raise money for a nonprofit or people — for yourself, a friend or someone or something not on Facebook. 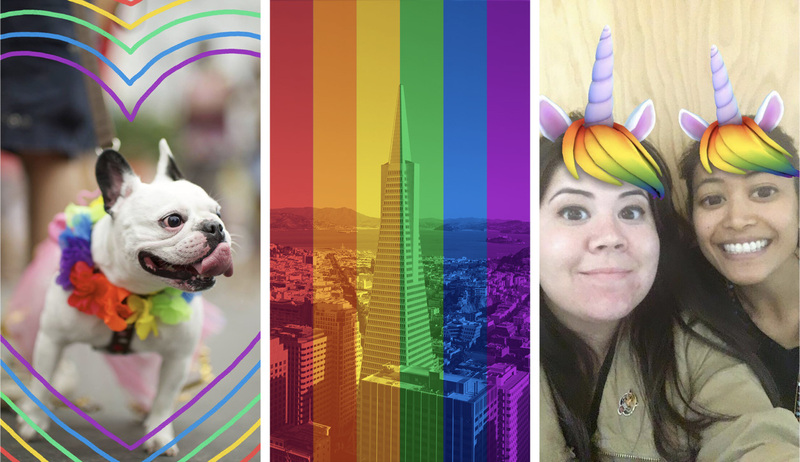 The photo sharing app is committed to fostering a safer and kinder community, and this June will be turning walls in major US cities into colorful beacons of LGBTQ support where you can leave supportive comments on your posts. You can also celebrate Pride and be creative with stickers and a rainbow brush. 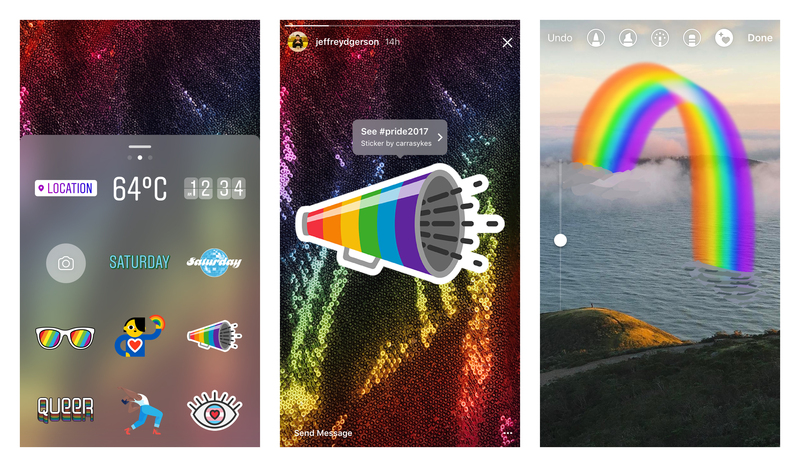 During Pride month, you can add some love to your conversations with friends and family with Pride-themed stickers, frames, and effects in the Messenger Camera. 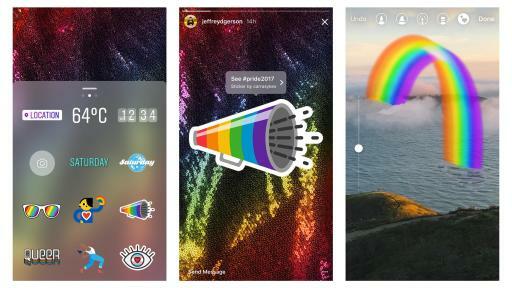 With all of these colorful experiences, your News Feed will undoubtedly be filled with every color of the rainbow, and - hopefully - a lot of love. Happy Pride!